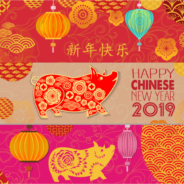 Posted by seoadmin on Feb 4, 2019 in Uncategorized | Comments Off on Happy Chinese New Year! Best Wishes to All for a Wonderful 2019! Posted by Malca Narrol on Jan 31, 2014 in Uncategorized | Comments Off on Happy New Year! Posted by Malca Narrol on Jan 1, 2013 in Uncategorized | Comments Off on Happy New Year! Posted by Malca Narrol on Dec 6, 2012 in Uncategorized | Comments Off on What is Feng Shui?